Next week the Edinburgh Fringe kicks off with thousands of performers, established and new, giving it their all on one of many stages all over the city. There will be so much to see at Europe’s largest cultural festival so here’s a little tip from me - Whatever you do at the Fringe, go and see The Paper Cinema! 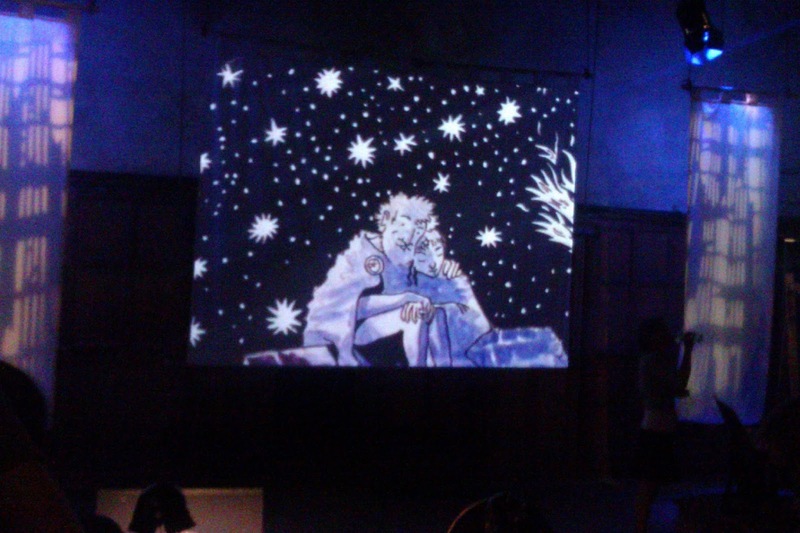 Founded in 2004,The Paper Cinema creates live animation with elaborate ink and pen drawn paper puppets accompanied by live music and special effects. Earlier this week I rocked up to the Battersea Arts Centre to check out The Paper Cinema’s production of Homer’s ‘The Odyssey’. Projected onto a screen, there are individual puppets and settings for every single scene. The characters and their surroundings become multidimensional through the painstaking manoeuvres of the puppeteers. Scenes, such as Odysseus sailing away while Penelope watches in the foreground or Odysseus and his crew running from the Cyclops with the latter’s gigantic feet crashing around them and trees speeding past, are made all the more real. Visual effects added to the physical and emotional depth of the story - Penelope staring into the distance while images depicting her plight - Odysseus away at sea, her suitors (depicted by wolves) causing havoc at her home - circle around the middle of her forehead. There were playful pop culture references and plenty of humour throughout the story telling. In search for his father, Telemachus travels far and wide on a motorcycle with a girl at the back while Peter Fonda and Dennis Hopper in Easy Rider roar past. The live music was wonderfully atmospheric, it can be enjoyed on its own and has touches of eclecticism. One moment you’re listening to a piece akin to Prokofiev’s ‘Peter and the Wolf’ and the next you’re listening to Air’s finest. The Paper Cinema’s work is breathtaking to say the least. You marvel at the precision and timing throughout the whole show. The puppeteers and musicians are visible throughout the whole performance which makes the process even more compelling to watch. The story telling itself is executed with warmth, sensitivity and pure charm. I found myself drawn to and feeling for the paper and cardboard characters on the screen. This is a show that will appeal greatly to both grown up and family audiences. The Paper Cinema’s The Odyssey - Summerhall, Edinburgh. 17th - 25th August.